Absolutely Cheesy: You Should Know Better By Now! Well if you haven't noticed I always set deadlines for myself and I always come up a little short. So when I say I will announce a winner on Monday I really mean Tuesday. So to make up for my procrastination I picked two winners! Jenn and Sarah email me at bebop480@gmail.com and I will send those out to you. 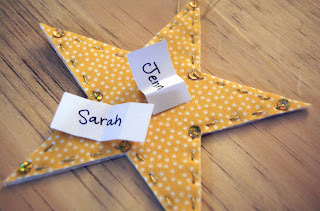 Sarah you will be receiving the Christmas Trees and Jenn you will get a set of Stars! Happy Thanksgiving everyone!